Do you like feeling cozy? 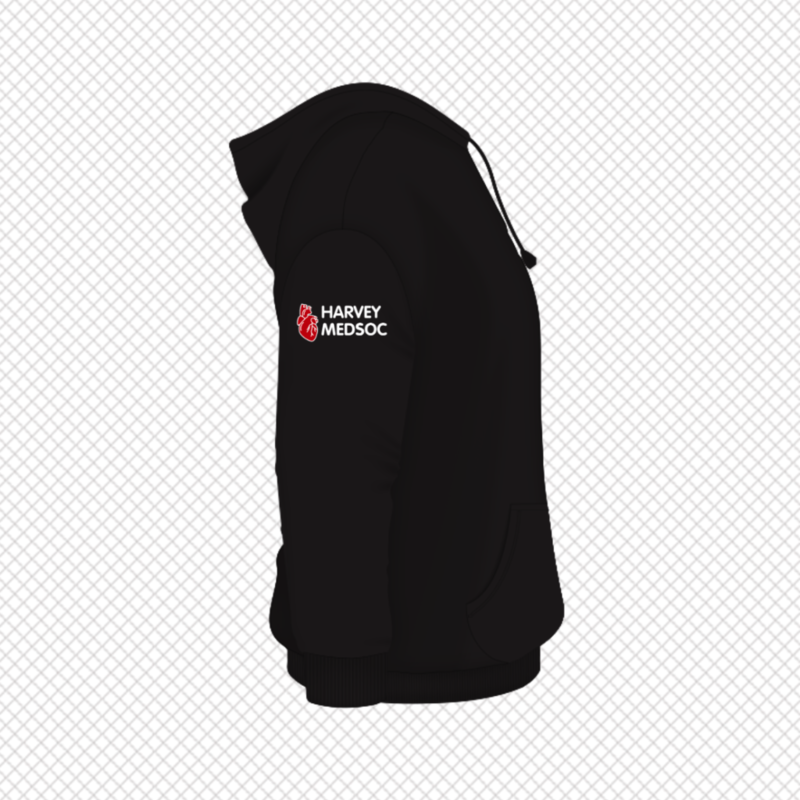 Do you like hoodies but brands make you look far too Slavic? Do you need some sportswear for the winter, but you live in green campus and going to Decathlon takes you the same amount of time it takes you to go back to your home country? Well… MedSoc has the solution for you! 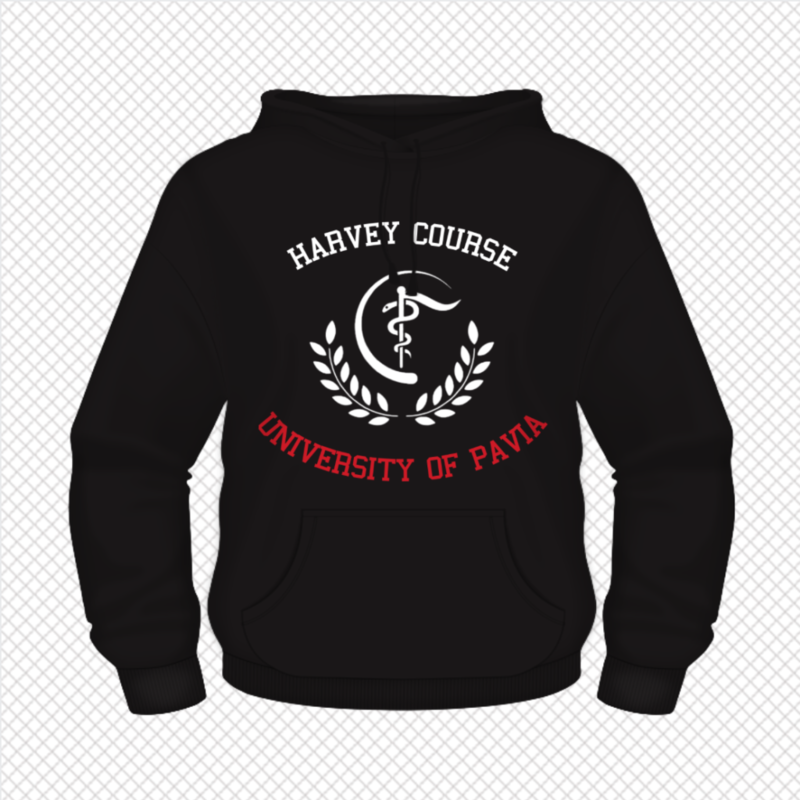 The Harvey course collection is out now in a variety of colors! Click on the button below to go the store. Once there, you can select your design, size, and color and confirm the order. first order will be placed on Monday, December 10th, at 9:00AM, so if you want to get yours before Christmas, place your order now! Needless to say that this is not for personal profit, any and all revenue will be directed towards MedSoc events to make them bigger and better (or cheaper). 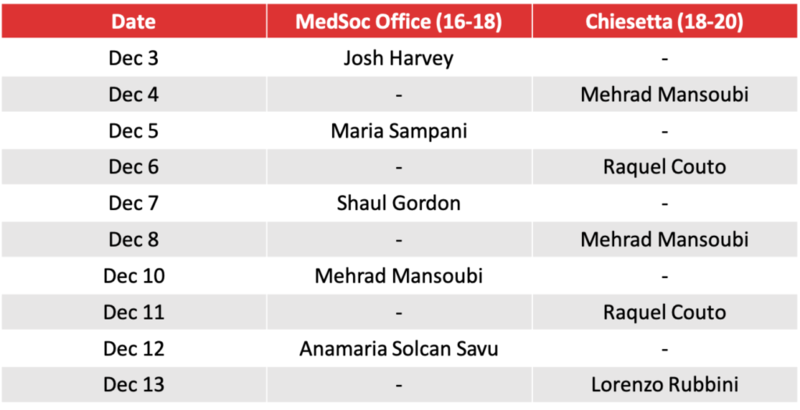 Here’s the list of MedSoc members availability before the New Year. The MedSoc office is located at Collegio Alessandro Volta, in front of the “J.D. Bernal and J. Needham” library.